She can do it as the indomitable Rosie the Riveter! 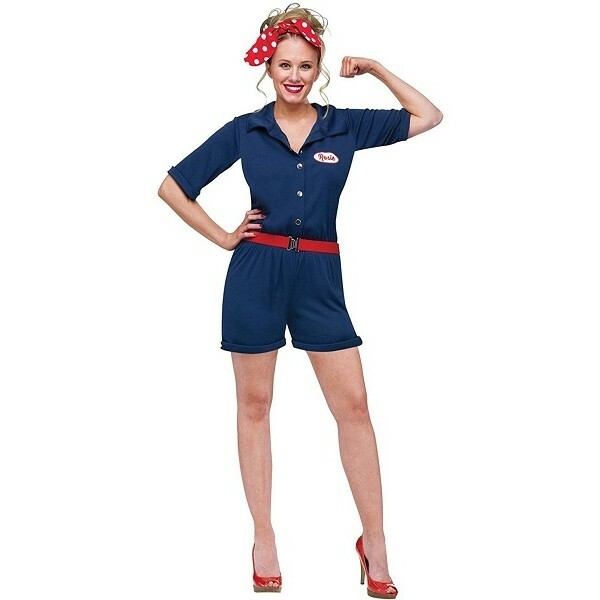 This costume set from Fun World allows you to pay tribute to the 1940's icon of women's empowerment. The set comes with a romper with a "Rosie" name badge, a red belt, and, of course, a red headscarf with white polka dots!